Is The French Fry Apocalypse Coming? "Clase del 2025" indaga profundamente las dificultades por las que pasan hoy en día, estudiantes de primaria de las escuelas públicas de Oregon. Un mundo visto a través del lente de los propios estudiantes. “Class of 2025" offers an in-depth exploration of some of the issues that Oregon public school elementary students are facing today, seen through the lens of the students themselves. EarthFix is an innovative partnership of the largest public media institutions in the Pacific Northwest established to expand environmental news coverage in the region. With journalists based in Oregon, Washington and Idaho, ... Más informaciones EarthFix creates media across multiple platforms, helping citizens examine environmental issues unfolding in their own backyards and to explore how local actions intersect with national issues. All content copyright EarthFix and its stations. "Literary Arts: The Archive Project" is a coproduction of Portland Arts & Lectures and Oregon Public Broadcasting. 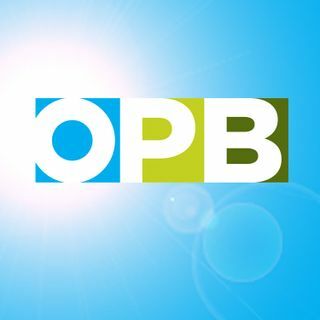 OPB's top news stories from around the Pacific Northwest. OPB's weekly journal of arts and creative work. Coverage and conversation on the federal trial for the people who led the occupation of the Malheur National Wildlife Refuge.